The legendary singer-songwriter talks about her own past and her fears for girls in the present. 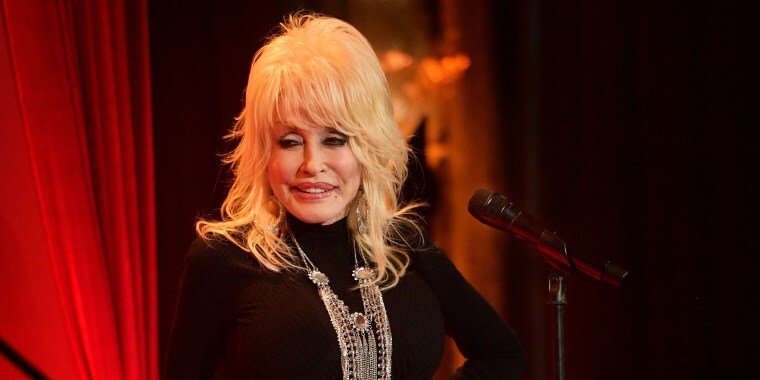 The music of Dolly Parton will soon set the tone for a musical-comedy movie that puts body image issues in the spotlight — and the country-music legend truly believes she's a good fit for that soundtrack. That's because, while Parton has always looked picture-perfect to her fans, she has her own history with fluctuating scales and the pressure to look lean. “I’m a hog at heart," the 72-year-old entertainer told People magazine. "I’ve been up and down with my weight through the years, so I can definitely relate to that." In the move "Dumplin'," which debuts on Nextflix next month, the title protagonist is an overweight teenager who's inspired by Parton's past hits. But the "Jolene" singer's connection to the topic goes beyond her own experience. It also taps into a fear she has for girls growing up in the age of social media with the belief that they need to be big-screen beautiful just to be OK.
"(This movie) shows that you don’t have to be physically beautiful,” Parton, who covers People's Dec. 3 issue, continued. "You don’t have to look like a supermodel. I really worry a lot about young girls today because they think they have to look like the models or the people on television. We need to be accepting of ourselves in how we are." As for the singer-songwriter and actress herself, she admits she works hard now to maintain a certain look for her career — efforts that include a low-carb weekday diet. But when she's back home with her husband of 52 years, Carl Thomas, on the weekends, all bets are off. "My husband loves my cooking, so I cook for him,” she said simply. "I really cook just old Southern food" — which includes "gravy and biscuits and fried sausage or fried spam." But right now she hoping to cook up some hits with the "Dumplin'" soundtrack, which drops Nov. 30, two weeks before the film hits Netflix.